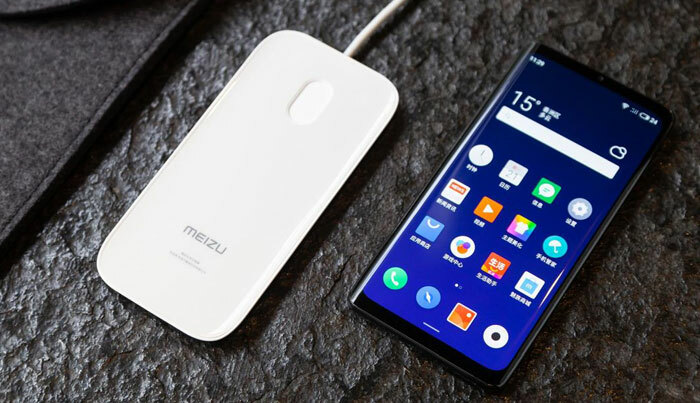 Earlier this week Chinese smart device maker Meizu unveiled the world's first smartphone without any buttons, holes or ports. The device was an example of smart minimalism and heralded by Meizu as "the world's first holeless phone." A day later Vivo has shown off a concept device, dubbed the Apex 2019, which follows suit, almost, paring ports and cutouts to a minimum that its practical available technology allows. The Meizu Zero takes the trend of removing ports and openings in the smartphone to its logical conclusion. Meizu highlights the device's industrial design, claiming proudly that the Zero has "no buttons, no speaker holes, no SIM card slot, [and] no charging port." The Verge notes that the seamless effect of the Zero is spoiled somewhat by the device's protruding camera bump and what appear to be microphone holes on the bottom of the device. 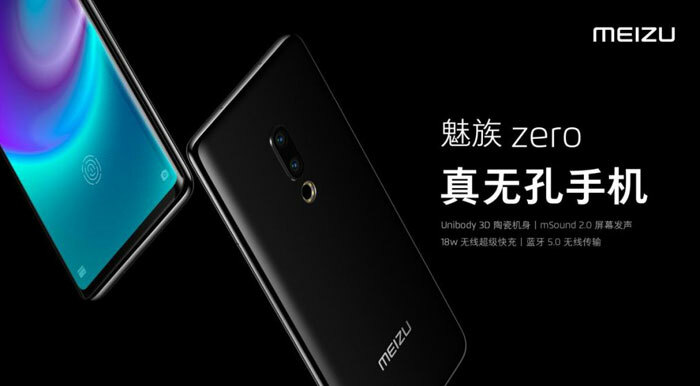 Some more common or garden specs provided for the Meizu Zero are; a 5.99-inch AMOLED display, an under-glass fingerprint sensor, and a Snapdragon 845 processor. Technology used to minimise ports/holes includes the use of Meizu's 'mSound 2.0' technology so the screen can act as a speaker, wireless charging (speeds up to 18W), buttons replaced by haptic sensors, and elimination of SIM slot by opting for eSIM only. The minimal holiness helps the device gain an IP68 rating against water and dust. 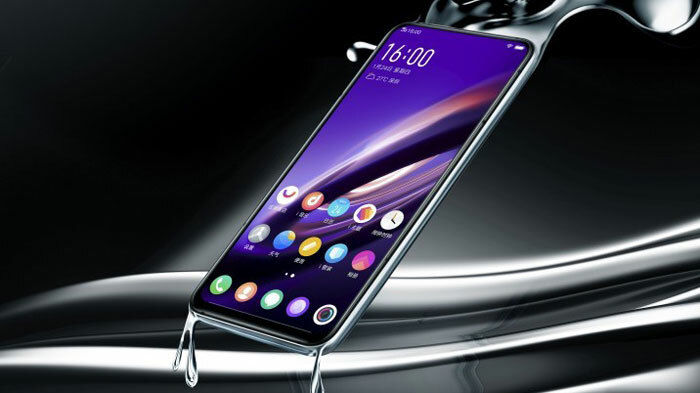 The Vivo Apex 2019 makes many of the same design choices as the Meizu zero. Gone are the USB port, speaker grill and SIM tray found on almost all modern devices. Screen-as-speaker tech is used here too. Vivo also goes for capacitive buttons where you would usually find physical power and volume up/down buttons on the side. Furthermore, a concession to the holeless philosophy is again made for microphones. One significant diversion in the Vivo design is the use of a 'MagPort' magnetic pogo pin connector on the bottom rear of the device. Inside the Apex 2019 is an attractive mix of components which is said to include; a Qualcomm Snapdragon 855 chipset, a 5G modem, 12GB of RAM plus 512GB of storage, and a 12MP + 13MP dual camera setup on the back. Engadget says that though this is a concept device, working prototypes were available recently at a Beijing event and Vivo has previously followed through on such designs with shipping products. There is a short Chinese language hands-on video here. We expect to see and hear more about the above smartphones at MWC next month. And the E-waste piles up …. Whare are you WALL-E?? No buttons, no features, no glitz of any kind….? Have manufacturers been reading Hexus RGB threads? Just what I was thinking… Its hard enough to replace a battery nowadays (if you can even find a decent replacement you then need to get through the glue). It just feels so wasteful when none of these new devices actually really improve on previous models. A new battery would be so much less wasteful. 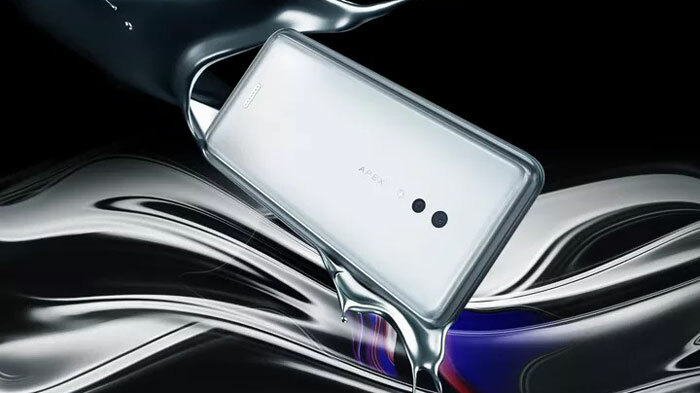 Meizu zero: World’s First Holeless Phone is now a live project on IndieGogo. Back the project for $1299 and receive an ‘Engineer Unit’ in April, probably.